Brad Cutshall, of Kalamazoo, and Pointe Jack, a Swedish warm blood stallion, compete in Grand Prix dressage, the highest level of dressage, Friday, June 22, 2012 during the eighth annual Horse Shows by the Bay Equestrian Festival at Flintfields Horse Park in Acme Township. 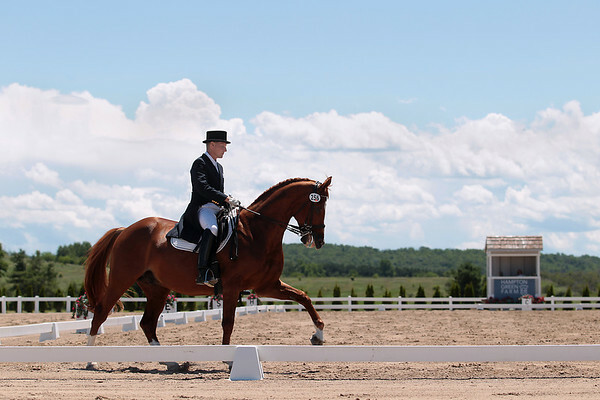 The competition series starts this weekend with its Dressage by the Bay Series I & II through Sunday, followed by four weeks of of Horse Shows by the Bay from July 4 – 29. It wraps up in early August with Reiners by the Bay held Aug. 3 – 5.